A really easy way to add some Halloween Decorations to the house is to set out some Day of the Dead coffee mugs. Not only are they decorative but useful at the same time. How much fun to drink your coffee or tea in the morning from an elegant skull cup! You are not going to believe how many options there are to do this very thing. 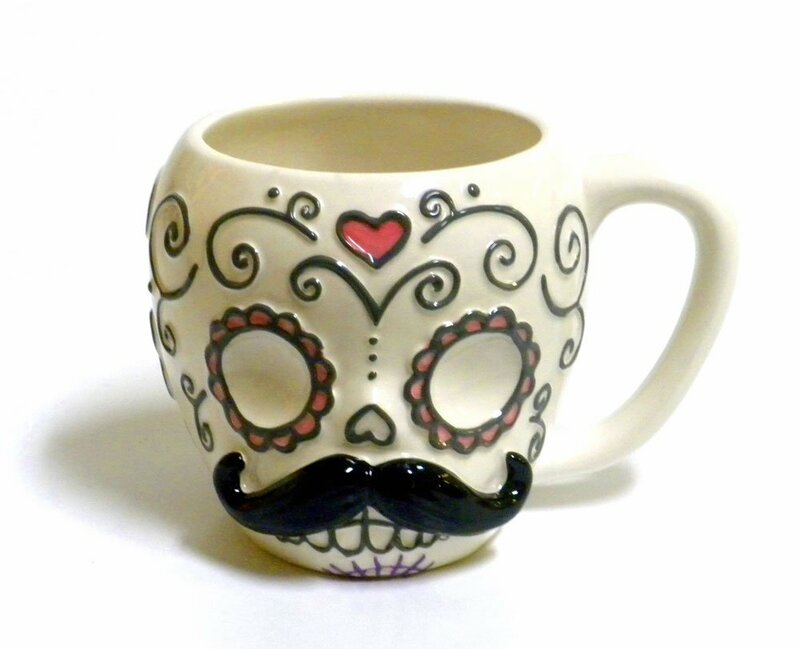 I’m telling you there are some fun mugs out there to celebrate Halloween or more appropriately Dia de Los Muertos. 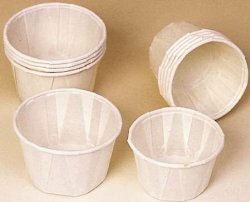 That’s right you can get a set of three or four or you can get just one. Isn’t that cool? Get one as a gift for a friend, co-worker or relative or get an entire set for yourself. This set of Day of the Dead Coffee Mugs is so colorful. Hand painted and made of ceramic each mug will hold 12 ounces of coffee, tea or any beverage you desire to put in it. Shoot they would look cool just sitting on the counter as a decoration, wouldn’t they? If you don’t want the entire set, each Day of the Dead coffee mug can be purchased separately. Another choice for our Day of the Dead Coffee mugs is the one at the right. I just bet that when this skeleton still had flesh on his bones he was quite the dapper gentleman. There is also a matching tea cup and saucer that represents the female of his life. I’m guessing it was his wife, but who knows. Anyway, the fella cup will hold 12 ounces of coffee or any hot beverage. 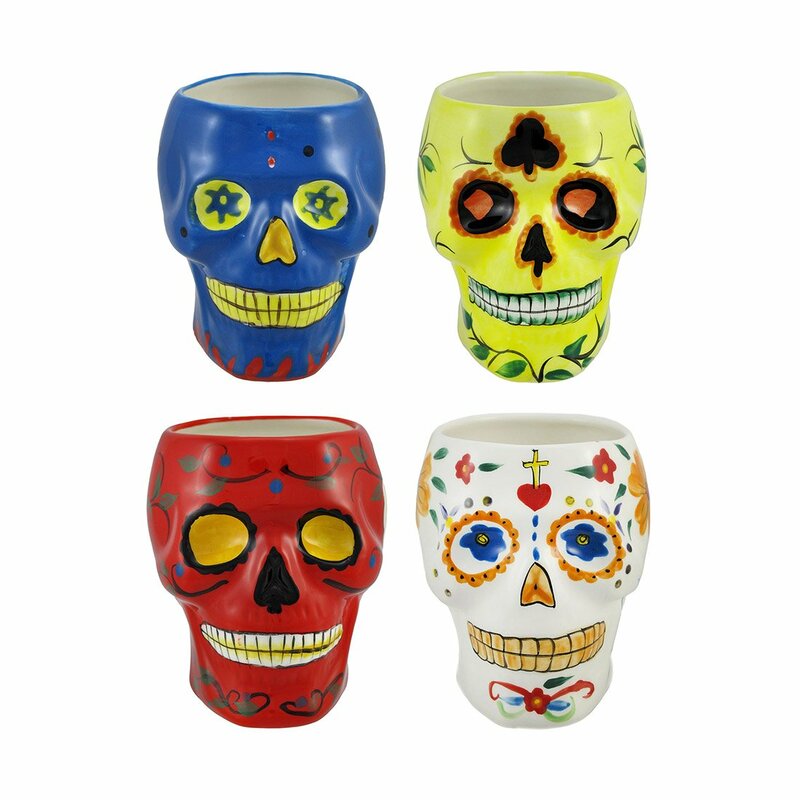 Aren’t these Day of the Dead coffee mugs just perfect for adding to your Halloween decorations? I think they are. 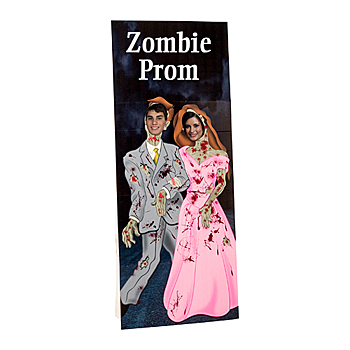 Of course, they are also a great gift idea for someone who collects Halloween stuff or better yet the Day of the Dead collector.